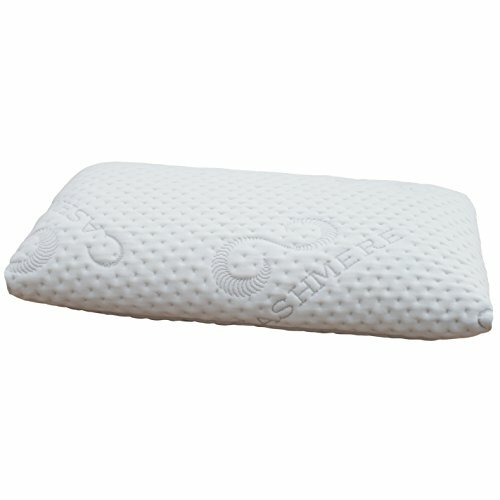 A thermoelastic visco foam cushion with high quality cashmere cover, dimensions 70 x 36 cm and four different heights. The cashmere cover is removable via zip and washable at 60°C. This soft and fluffy pillow with 3D quilting is the perfect cuddle cushion for the bed or in the sofa. Memory foam is stochastics and reacts to pressure. This way the cushion optimally adapts to the head, without a high level of resistance. This is achieved by the memory effect. Particularly suitable for neck pain and to assist the cervical spine thanks to the correct height. Both sides; open-pored woven cover with high quality cashmere ensures good ventilation properties and is nice and warm. An ideal cushion for peaceful sleep with a smooth cashmere cover.